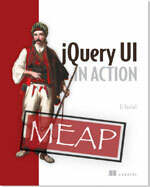 The second milestone release for jQuery UI 1.9 is out, featuring the new Menu widget, in active development. It also includes updates to the Tooltip widget that we did since our first milestone release. We’d love your feedback on our new Menu widget, to help ready it for the 1.9 final release. The API is already in good shape, so if you start using it now, migrating to 1.9 final should be really easy. Menu transform a list of anchors into a widget with mouse and keyboard support for selecting an item. Its a low-level widget already used by Autocomplete and designed as the base for other widgets, for example, a menu bar or nested menus. To help with the design and development of the Menu widget, visit the Menu page on our Development & Planning wiki. 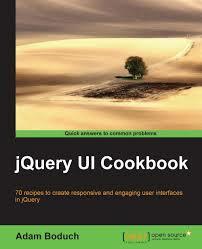 If you have code changes for the Menu, fork jQuery UI on GitHub, commit to the menu branch, and submit a pull request. Note: please do NOT use the comments section of this blog post for feedback on the Menu widget. This discussion should occur on the wiki page and the forum (see How to Provide Feedback, above). If you have feedback on us doing our second milestone release, feel free to leave a comment below. Thank you. Can you also release the theme packs which correspond to these milestone releases? In Git I see that some theming changes have happened since 1.8, but only the base theme exists there. Good job on the hard work. @Peter: We don’t have a headless build for the themes, yet. That is necessary to create the themes without actually deploying the release to a production server. We’re working on. For now, you should be able to take any 1.8.2 theme and add the jquery.ui.menu.css file, that should get you pretty close.